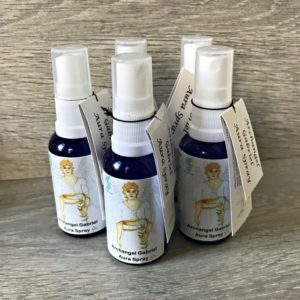 This spray contains a peaceful blend of gem essences and essential oils allowing you to focus on the messages you need. Spray in your room, around yourself or to set intent on other items. All aspects of the spray are channelled from Archangel Gabriel to enhance the energies of the spray. Warning: May cause an allergic skin reaction. Please check ingredients.